We love black cats ! A tribute to Teddy and Hugh. We love black cats ! A tribute to Teddy and Hugh. Every year on the 17th August cat lovers show their appreciation for black cats around the world. 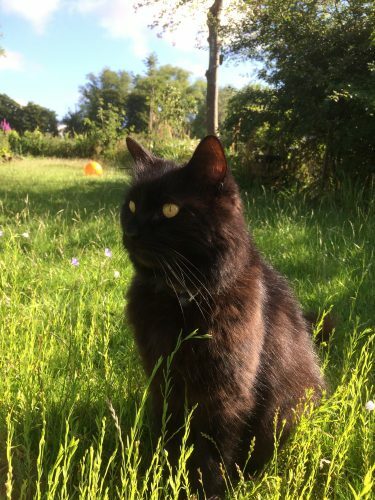 It’s a great time to get people thinking about gorgeous black cats and share their stories and photos. 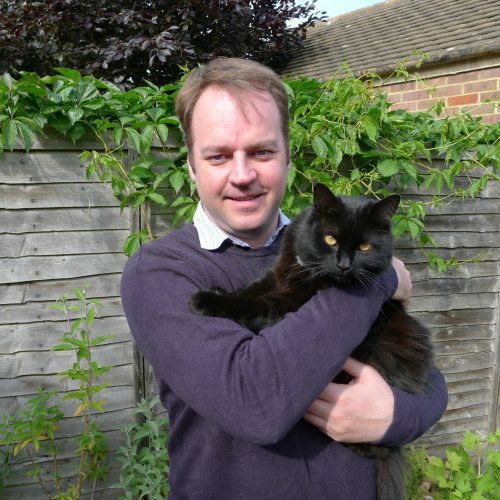 We couldn’t celebrate without a special mention to Teddy and Hugh, Simon’s own black cats. Black Cat Appreciation Day was created to help raise awareness of the troubles faced by shelters when rehoming black cats. 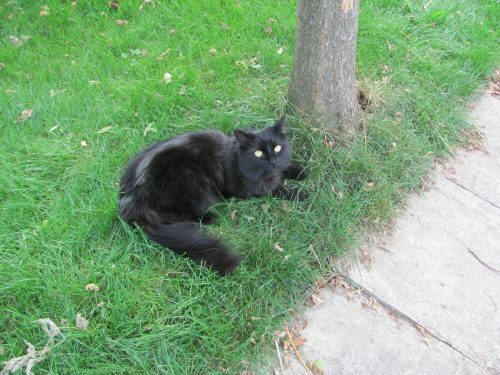 Due to old fashioned superstition, some people believe black cats are unlucky. Some prefer to take home cats with more interesting colours and markings such as tabby or ginger cats. For whatever reason, black cats in shelters all over the world are often overlooked and can take much longer to find a loving home. So, if you plan on adopting a new cat or kitten, don’t forget that black cats make just as loving companions as all other cats! ? ? 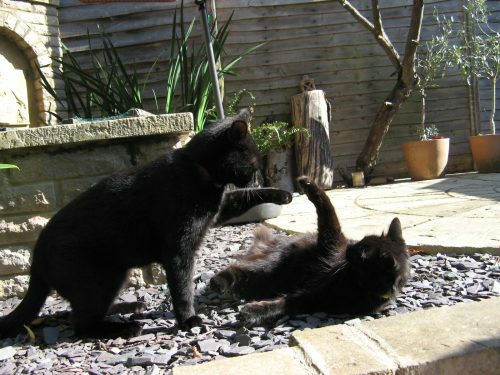 To mark the occasion, we’ll be celebrating Simon’s two black cats: Teddy and Hugh. 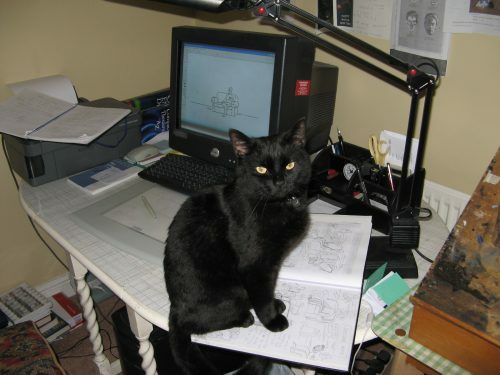 Did you know that Hugh was the inspiration behind the very first Simon’s Cat film – Cat Man Do?! As a kitten he used to climb all over Simon to ask for food. Simon got Hugh from a friend back in 2005. He was one of a litter of kittens born in a shed. It was a very long drive home, but after a little bit of noise, he slept all the way. 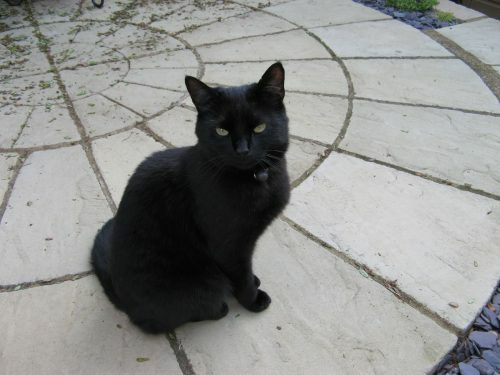 Hugh was a lovely, kind natured cat who was always hungry and would turn up at 8pm every night without fail. He had a high-pitched mew that was unique to him, which he used frequently to remind Simon it was feeding time. So now you know why Simon’s Cat is always hungry. ? “One of his tricks was to turn up early in the morning and wake me up by sucking my ear. This was cute when he was a kitten, but it became a bit of a problem when he grew to the size of a small panther!” Simon remembers. 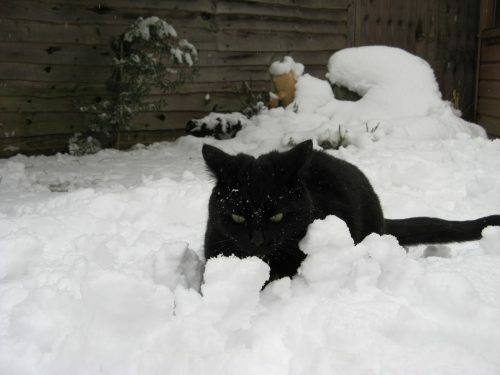 Hugh loved snow and would run around burying his front paws in it. ‘To me, this looked like he was trying to make snowballs.’ The film Snow Cat was inspired by Hugh and his antics in the snow. ❄️ ? Hugh, helping out Simon with his work. 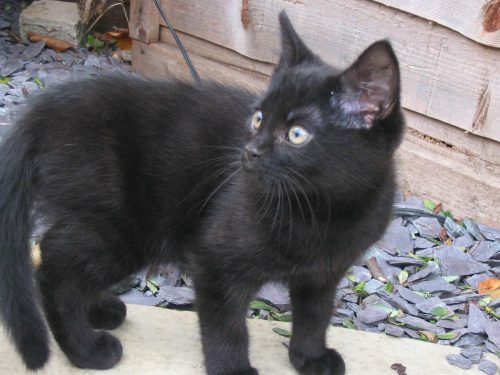 As a newborn kitten, Teddy was discovered in a box in a field by a kind dog-walker. He’d been abandoned and left to die with his brothers and sisters. Luckily the person who found him contacted a rescue centre. They took Teddy and his siblings under their care, while they sought proper homes for them. When Simon found out about the way they were found, he decided to adopt Teddy and ever since he’s been a much loved part of the family. Fluffy Teddy loves the garden. Did you know that the main inspiration behind the Kitten is Teddy? The film April Showers was inspired by Teddy and his love for water. Unlike Simon’s other cats, Teddy loves the rain. Due to his long fur he doesn’t have an issue with water. He perches atop the fence oblivious to the rain. That’s why the Kitten isn’t afraid of water. Teddy is such a loving cat, quite a character and a true sweetheart and his long, shiny fluffy fur make him extra cuddly. ?